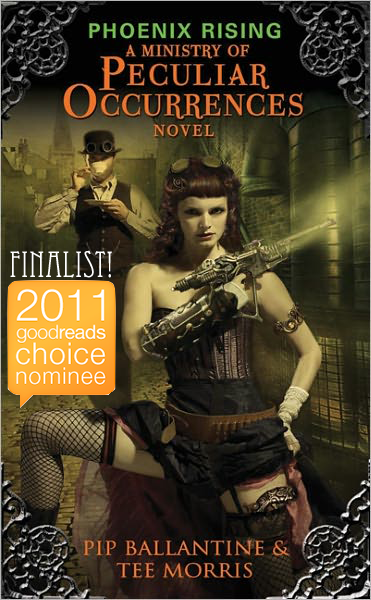 Not only are we thrilled beyond reason that Phoenix Rising made it into the Top Ten of Goodreads’ Choice Awards, we are honored and a bit humbled that we are the only steampunk remaining for this award. As it has been since the first round, we’re in the running alongside New York Times bestsellers, Hugo winners, and Nebula winners (oh yeah, and some guy named “King” whom, I understand, has written a few books in his day). Pip and I wanted to keep Phoenix Rising in the running, and you all made that happen. In our minds, this turkey has been cooked to perfection for Thanksgiving and we are so grateful for those of you showing support for us and for the title. Anything else, from this point, is gravy. Did I ever mention how much I love gravy? Between November 21 and November 30, the opportunity is there for the Ministry. If you haven’t voted yet and you have an account with Goodreads, please vote. We got to the Top Ten. We’ve won, as far as we are concerned. 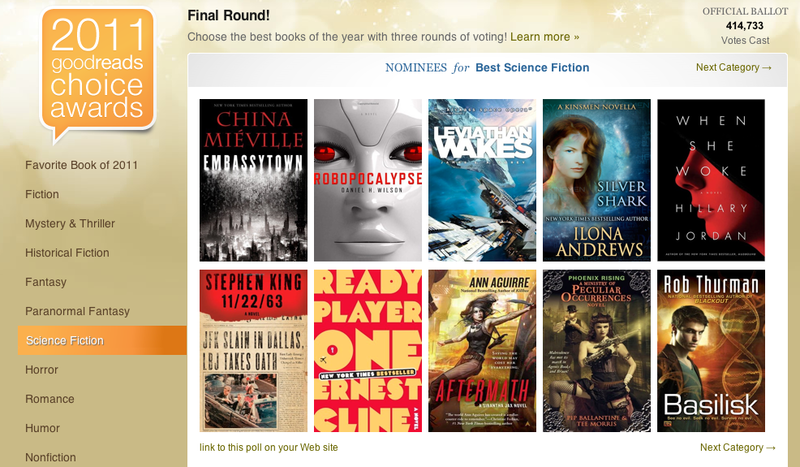 Could we win the title of Best Science Fiction of 2011? Cast a vote and let’s find out.